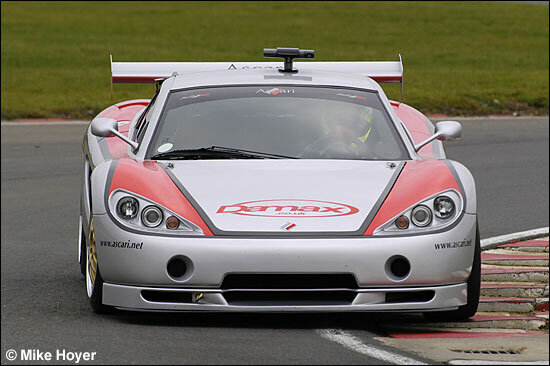 Damax has just completed two days’ testing at Snetterton (January 30-31), with Aaron Scott at the wheel – and the team’s first Ascari KZ1 “went really well, no reliability issues at all, it didn’t miss a beat, which is really encouraging at this stage,” says the driver. 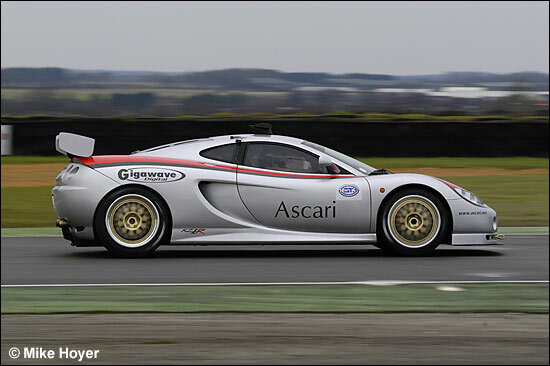 Aaron Scott was working with ex-Veloqx (and lot of other projects) engineer Steve Ridgers, who commented that “we worked through a number of positive changes on the car and gained some excellent data which we can use to improve the car further, in readiness for the new FIA GT3 Championship season." 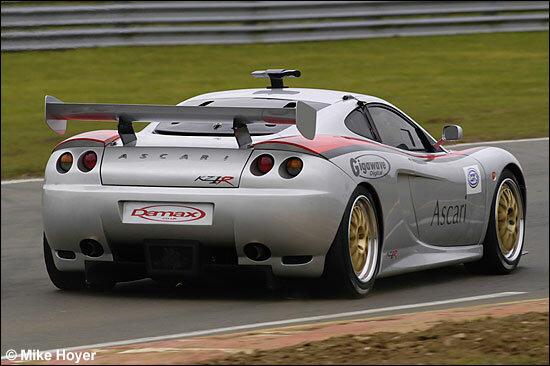 Some of that data was gained in a back-to-back comparison with the team’s Ferrari 360s, Nick Adams at the wheel – but Nick is definitely driving an Ascari this year. He also took some guests round the Norfolk track. The team now sets about continuing the development programme in the workshop. “There are some things we’ve got to do to make the car work properly as a race car,” says Aaron Scott. 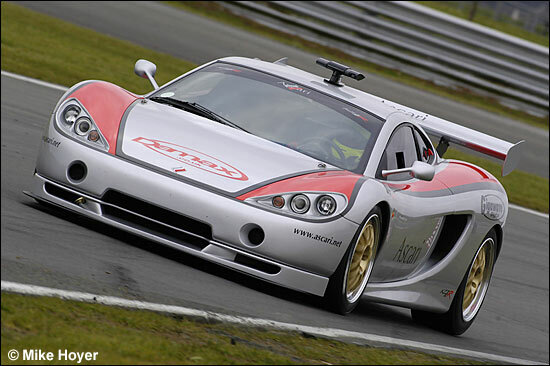 Next time out, the team should have two KZ1s. 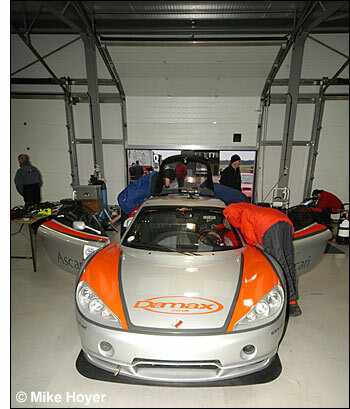 Damax boss Robin Ward reckoned that “the pace was better than we expected at this stage in the test programme. The whole team is very excited and motivated about the season ahead." 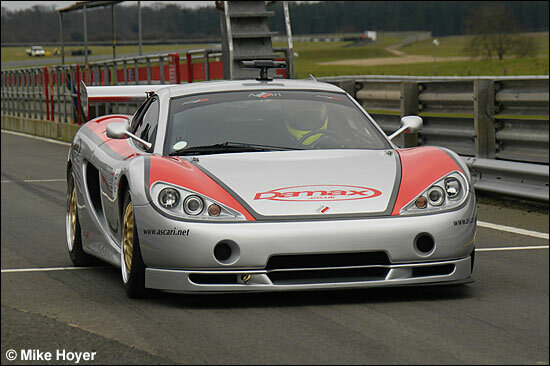 A number of possible 2006 drivers, for the team's second car, tried the KZ1 on Tuesday afternoon. Team Sponsor Gigawave was using the test to try out some camera developments. 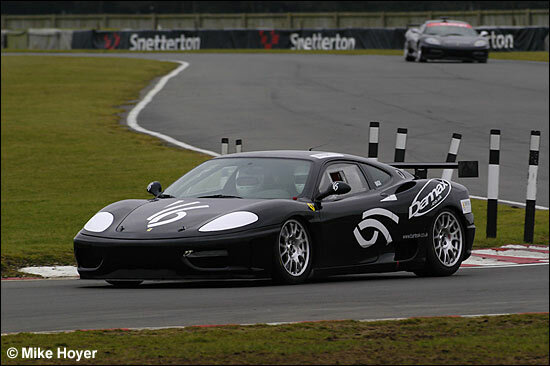 The company supplies cameras for F1 and Moto GP. Aaron’s Scott’s thoughts now turn to Wolverhampton on Saturday February 11. He and girlfriend Charlotte (Charlie) are getting married, with a honeymoon planned in the Maldives. No doubt the poor girl will see plenty of race tracks in the months and years to come.